The 7 Best Pho Restaurants in West Virginia! Are you ready to get your pho on? 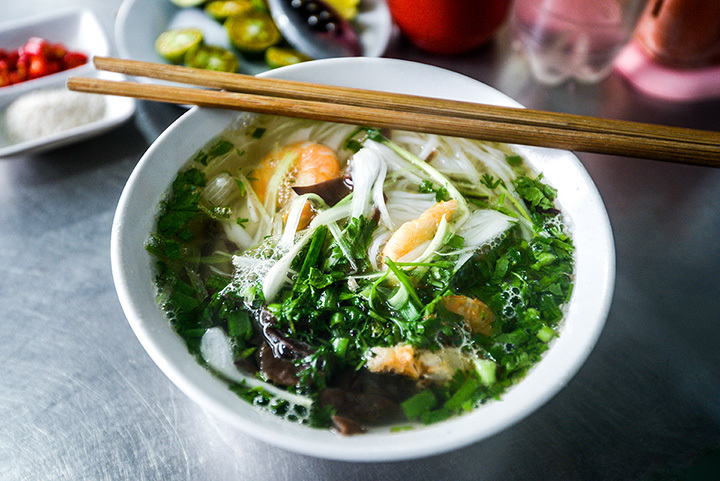 This popular Vietnamese noodle soup is delicious and wholesome, especially when combined with other tasty sides like banh mi, the bread that often accompanies pho. Here are seven of the best places throughout West Virginia where you can find delicious pho! If you are new to international food and want to try great Chinese, Japanese, Thai, and Korean cooking, then the Asian Bistro in Morgantown, West Virginia, is the place for you. Fast and friendly service and beautifully prepared dishes will be brought to your table and delight your taste buds. Besides delicious and authentic dishes like Japanese fried rice, Pad Thai, Panang curry, and red snapper curry fish, you’ll find some of the best pho soups around. Diners will be guided through their experience at Pho Hong in Morgantown, West Virginia, by friendly and knowledgeable servers who can help you find the food that satisfies your taste. One of the best things about this restaurant is that you can decide what level of spice you want because the seasonings and sauces are at the table. The portions are huge and the prices are very reasonable. Little Saigon Oriental Market does Pho right and fast. Located in Huntington, West Virginia, your favorite pho is served with rice noodles and sliced onions, and garnished with scallions and cilantro for a fresh authentic Vietnamese flavor. Slices of beef brisket, eye of round, flank steak, and meatballs are used for the beef Pho, and chicken breast, squid, and shrimp provide the flavor for other varieties. Whatever choice you make, you will enjoy the selection and friendly service. If you want a great restaurant that serves fresh and tasty Vietnamese specialties like the popular beef noodle soup called pho, you want to stop by Pho Vinh Long in Charleston, West Virginia. Relax and enjoy your dining experience in a comfortable atmosphere and if you have questions or need advice about what to order, you’ll find the servers attentive and friendly. Available for dine in or carry out. Known for consistency and great fresh food, this little Vietnamese deli is a good choice. Run by a sweet couple and with the lowest prices for deli food, Yen’s Sandwiches in Charleston, West Virginia, will not disappoint. In addition to banh mi and pho, the taro, avocado, or mango with tapioca bubble tea is worth trying. Finn Thai Restaurant & Bar offers delicious food, great service, and a clean environment. Opened in 2012, hungry diners will find hearty Thai food cooked with the same dedication as original dishes in the Orient. Springs rolls, Pad Thai, pot stickers, and some of the best pho in the area await those who visit this busy eatery. Don’t let the small size of this quaint little restaurant fool you or keep you from trying the delicious food here. Pho Noodle House in Huntington, West Virginia, provides chicken, vegetable, and shrimp pho as well as beef pho featuring filet mignon, meatballs, and flank steak. This is definitely Vietnamese cuisine at its best.